JustWatchesReplica.org is just not my cup of tea. Well, I might just be a little bit picky. I say this because of the first impression I got when entering the site. 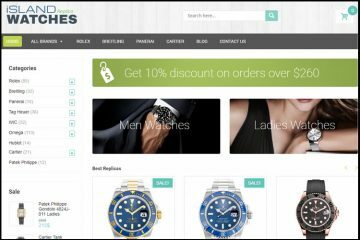 The page has a simplistic appearance- a white and blue color scheme with a common looking banner, medium quality product pictures and barely visible menus. 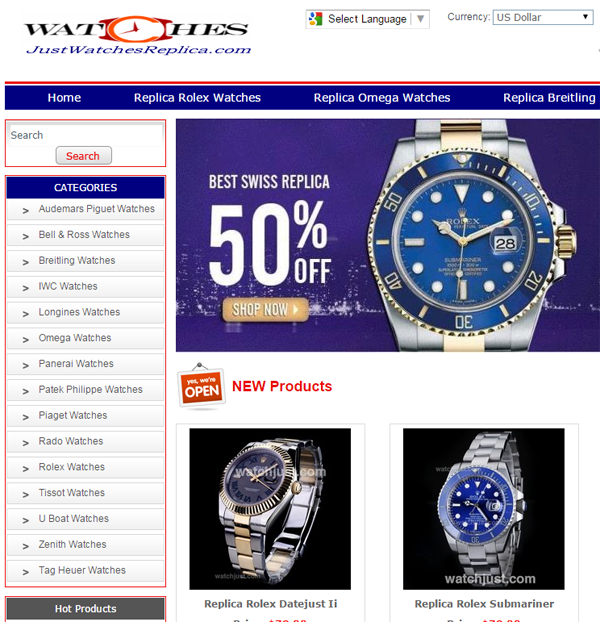 Its design lacks the elegance we are used seeing at replica watches online stores. And because of this we are tempted to believe that it doesn’t have much to offer, but let’s leave our judgmental attitude aside and find out more about this store. Because the page is so simple, it is actually very easy to browse around the site. On the top there is a slim menu bar that features the best-selling brands such as Rolex, Omega and Breitling. And in the left side of the page there are all the available brands, starting with the most popular ones and ending with some that you probably have never heard off. The collection is really impressive. I could actually say huge. Each brand is organized into sub-categories, but this isn’t enough to ease our search for the perfect replica watch. Why, you may ask? 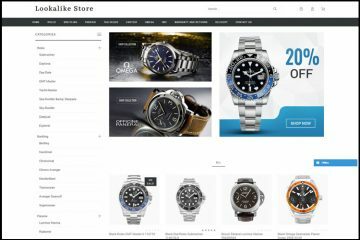 Because there is no Advanced Search option available, and browsing through over 50 pages of Rolex Daytona fake watches feels like an endless task- no matter how much you love designer watches. 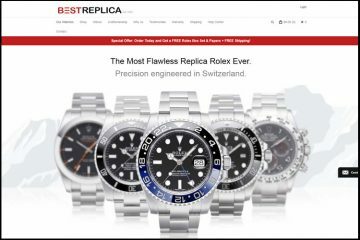 On one thing we can agree here- the prices at JustWatchesReplica.org are really low. The replica watches equipped with a Japanese automatic movement cost about $80-$110 while the Swiss fake watches cost about $150-$350. This is quite affordable. I am sure that you have noticed that most replica watches stores ask about $150-$250 for Japanese knockoffs or $250-$700 for Swiss fakes. On the website there are clearly two different types of pictures. There are replica watches that have photos with a gray background and there are replica watches that have photos with a white background. These are taken from different sources and could mean that the shop has two different suppliers. But is the quality of the fake watches also different? In what way? Which one is better? The products description page shows a short text that includes pretty much everything you want to find out about these fake watches- mechanism, materials, functionality, size and markings. The only thing is that it will be very difficult to understand everything mentioned here as the language is pretty broken. JustWatchesReplica.org delivers packages all around the world, but there is a shipping charge for this. Sending your order costs $20 no matter what your destination country may be, which is pretty weird. Usually, companies use different pricing for different locations. This is because sending a package to some countries is more expensive due to the distance, customer formalities or shipping company used. The store can only process payments by Visa and by Mastercard. It does not offer the possibility of paying by Western Union or Bank Wire. I think that it is always better to see a merchant that offers alternatives to card payments even though you don’t necessarily need those. It shows that the merchant is professional enough to care about offering to its customers as many and diverse payment options as possible. JustWatchesreplica.org offers a 5 days refund or exchange policy, but I don’t quite agree with the terms of this policy. Why I say that? Well, the first thing that struck me was that the only accepted reasons for returning an order are- product is defective or was sent incorrectly. You can’t return a replica watch simply because you changed your mind or because you have ordered the incorrect style, size, gender or color- which I consider as highly unfair. Plus, there is a 15% restocking fee that is applied to all returned orders. Also, there is no mention of a repairs warranty. On the Contact Us page it says that the store is able to assist its customers by chat. Wrong! There is no chat option on the website. The only way you can contact the company is by sending an email to their Gmail address. I find that using a common Gmail account for receiving and replying to your customers’ emails is very unprofessional. 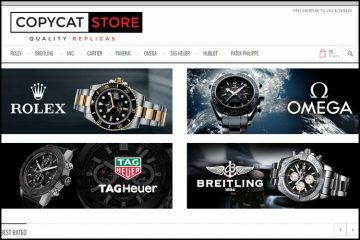 JustWatchesReplica.org is an online replica watches store that carries a very large collection of beautiful designer timepieces. I have to admit that seeing such an endless selection of best-selling fakes can really spin your mind around and make you believe that you must buy at least a couple of them. But besides the low prices, flat shipping fee and large collection of products, there is really not more to say about this store- or at least not something good. I dislike the fact that it uses photos from multiple sources, it doesn’t have alternatives for card payments, it has an unfair return policy and no professional customer care.